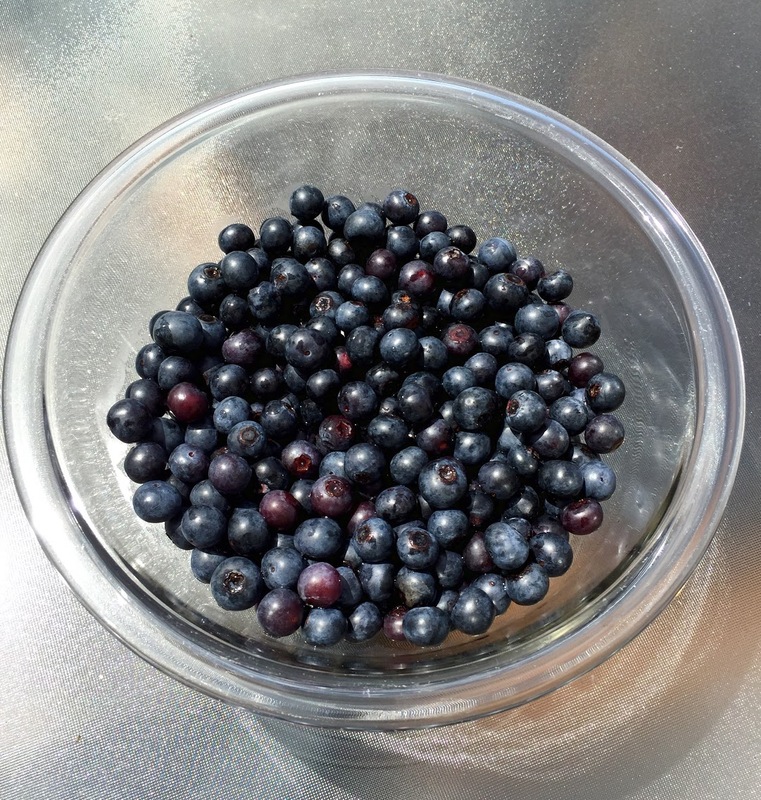 In our area, in the southeast – Atlanta to be specific, we are able to go blueberry picking in July. It is a great activity to do with kids. It is free, other than the amount you pay for the actual blueberries you pick. It’s also a great learning opportunity for kids to see how food grows. Picking food shows kids how food makes its way from Mother Nature’s garden to the kitchen table. 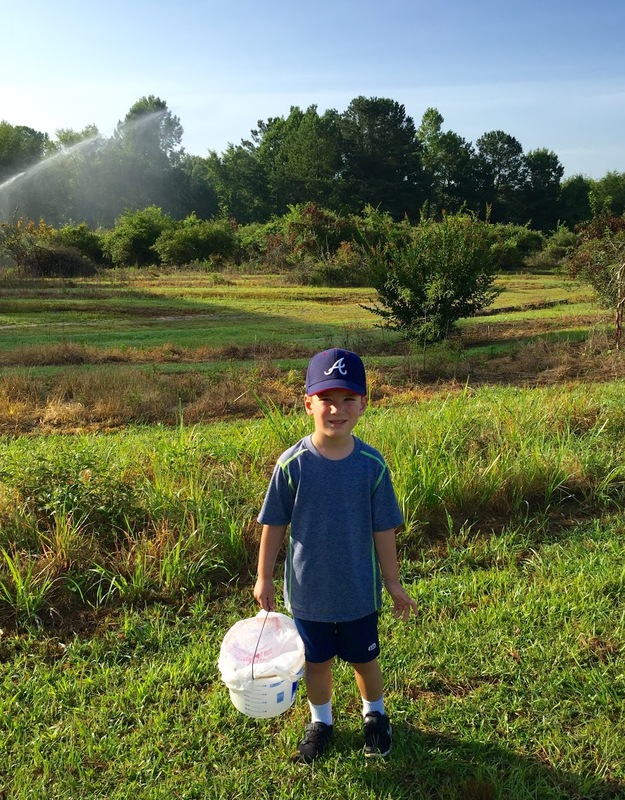 We were able to go out and pick blueberries around July 4th of this year. We decided to visit Berry Patch Farms in Woodstock, Georgia. TIP: Call ahead and find out what the blueberry picking conditions are like before you head out to pick. It was very hot, so starting early in the morning was very helpful. TIP: You work up high, while the kids work down low. 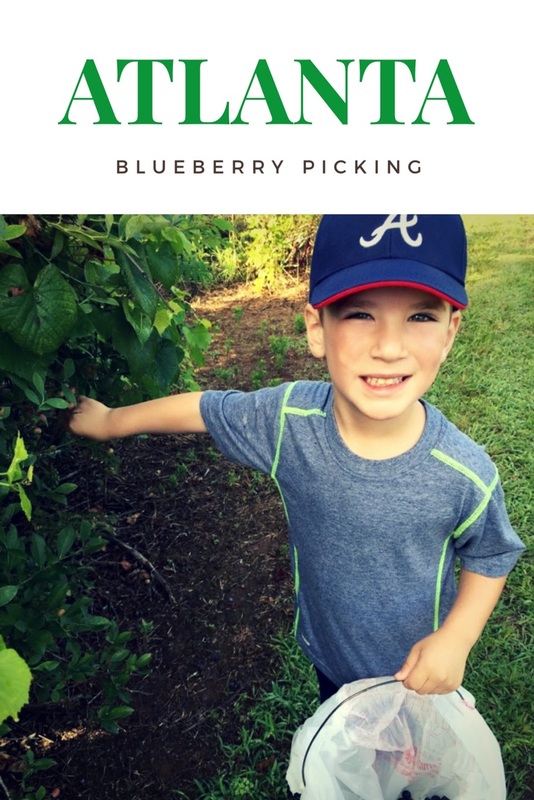 Kids can reach the blueberries lower to the ground, while adults can reach up and pick the blueberries that are high up. 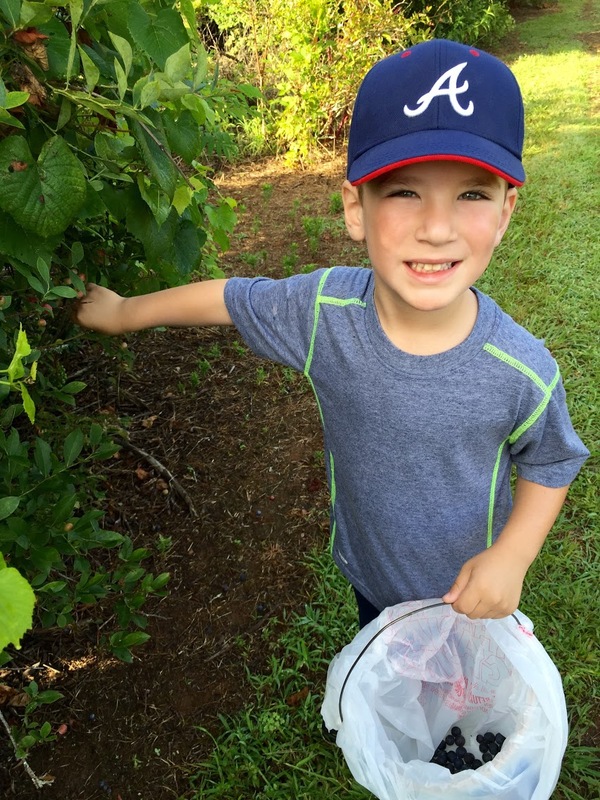 Here are some great links to other Berry picking locations in the Atlanta & surrounding area courtesy of Red Tricycle.